The 2011 Wine Country ‘Ukulele Festival is on! Bigger and better than last year with two and a half days of ‘ukulele fun. Where to begin? There were so many great moments and memories…..and so many wonderful people who made it what it was: sponsors, vendors, performers, instructors, volunteers, and you. Those who made it to the Wine Reception at Gaia on Friday afternoon to see Brittni Paiva perform got way more than they bargained for when ‘Ukulele Bartt, Kalei Gamiao, Moe Dixon, and Freebo also showed up. Kalei Gamiao is a new face on the mainland ‘ukulele scene and turned many a head. You’ll be hearing a lot more from him. Many thanks to Gaia Hotel and Spa and sponsors Char and Gordan Mayer from Mya-Moe Ukuleles, who were also on hand with an array of their beautiful ‘ukuleles. If there’s one thing Judd knows, it’s how to throw a party–even if he has to move vats full of fermenting grapes to make room in the middle of crush! (That’s Judd on the left.) Many thanks to Judd’s Hill Winery and KoAloha Ukuleles for sponsoring the Judd’s Hill Hula Party, the Friday-night kick-off to a fabulous weekend, and to Doris Coonrad and her crew for an amazing gastronomical array. And, to top it off, through our Soles4Souls shoe drive at the Judd’s Hill Hula Party and Sonoma Academy, we collected more than 100 pairs of shoes for needy people world-wide! Saturday dawned cool, but sunny, as vendors started arriving at Beringer Vineyards bright and early to set up the ‘Ukulele Marketplace on the Promenade in front of the Old Stone Winery. And what a transformation they performed! Imagine an ancient open-air market featuring nothing but ‘ukuleles and you’ll get the idea. 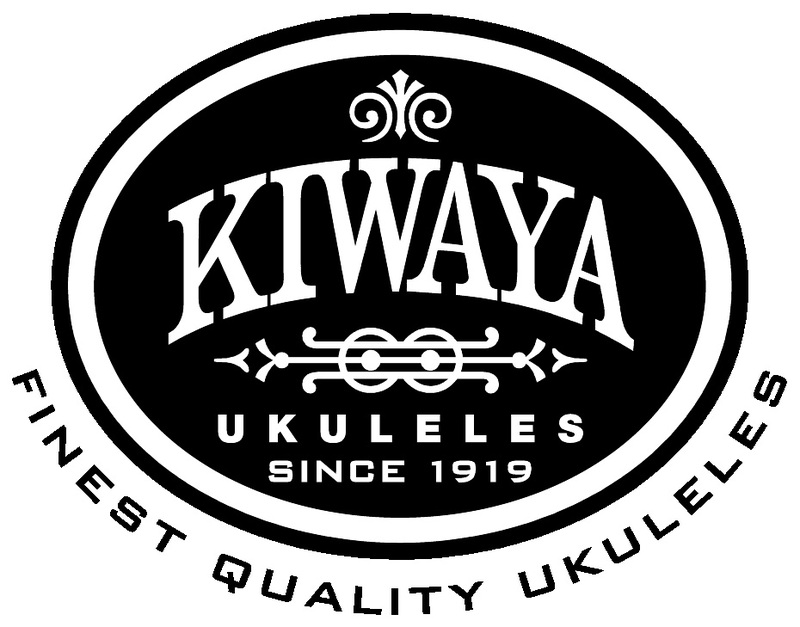 We had everything from the whimsical offerings of Kala (with ‘ukuleles that look like kiwi fruit) to the most beautiful one-of-a-kind creations from expert luthiers. We simply cannot thank Beringer Vineyards enough for opening their beautiful doors so very wide. The Ohana Wa’a Outrigger Canoe Club brought their beautiful canoe, again, and started serving up morning coffee and breakfast goodies right away. (The line for their ono barbeque didn’t die till they ran out of food in the afternoon.) In the meantime, the puveyers of other Pacific Island goods transformed the fountain courtyard next to the Rhine House into an International Marketplace. Once everything was in place and ready to go, Liko Puha’s opening chant set the stage for a picture-perfect day. The Promenade Stage in front of the Old Stone Winery went on to host some of the most amazing talent in the ‘ukulele world today including: Dominator, Freebo, Moe Dixon, Brittni Paiva, Aldrine Guerrero, Derick Sebastian, Erich Sylvester, Kathy Quain, Kalei Gamiao, Ukulele Bartt, and many more, under the direction of our fabulous master of ceremonies, Andy Andrews. In the meantime, vendors were doing a hopping business and many a festival visitor walked away from the day with a beautiful new ‘ukulele to take home, including a few who had only come to taste the wine! Old friends met new friends, new friends were made, and people who just happened to be visiting the wine country discovered the smiles the ‘ukulele brings to faces young and old. You could tell who is visiting from Hawai’i….they’re the ones wearing hoodies and down parkas. But even with all that going on up on the Promenade, one of the most happening places at the festival was Kimo’s Korner, on the back porch of the old Rhine House, where Kimo Hussey was on hand to answer questions, sign books, take requests, and kanikapila. He admits, he had the time of his life. And let’s not forget the amazing workshops offered by James Hill, Victoria Vox, Steven Espaniola, Derick Sebastian, Aldrine Guerrero, Moe Dixon, ‘Ukulele Bartt, Liko Puha, Dominator, Char & Gordon Mayer, Debbie & Kanoelani Haumea, and the beautiful “classrooms.” Here’s Brittni Paiva teaching music theory in the Rhine House kitchen and Ralph Shaw teaching strumming techniques out by the Bocce Courts. In the meantime, folks started claiming their turf on the lawn in front of the Rhine House in anticipation of the free afternoon concert featuring Steven Espaniola, Faith Ako, Ralph Shaw, Victoria Vox, and James Hill. This might have been the end to a perfect day…….but it just kept getting better. From Beringer Vineyards our stalwart crew made their way to Flora Springs for the Flora Springs Harvest Party and Luau–Napa Valley Style. Stay tuned….there’s more to come…. Please join us and prepare to be amazed. We’ve come a long way since Tiny Tim! It just keeps getting better. Beringer Vineyards will be hosting the SaturDAY portion of the festival at their historic property in St. Helena on Saturday, October 10. We’ll have workshops in the caves, in the Rhine House, next to the bocce courts, and on the lawn under the majestic oaks. We’re bringing in some great talent for the concert(s) and we’ll have plenty of room for informal kani ka pila and jam sessions. The International Marketplace will be back and we’ll have a lei stand, UkeTube and Insta-Uke booths, party hula and more. I think we’ll even have a human-powered smoothie machine there! That evening we’ll be moving the party to Flora Springs on Zinfandel Lane (not the tasting room on Highway 29) for the lu’au and concert, with the broad sweep of the Napa Valley at dusk as a backdrop. Simply beautiful. There will be loads of fantastic entertainment, wonderful food and wine, and great company. More details to come. We won’t be abandoning you on Sunday, either. Miner Family Vineyards will be hosting us for a wine/food/’ukulele pairing event, in the cave room at the winery on October 11, right around brunch-time. Seating for this unique event, “‘Ukulele Sunday School,” will be very limited. So stay tuned. And don’t forget that the zaney bunch at Judd’s Hill will be hosting the “Judd’s Hill Hula Party” at their winery on Friday evening, October 9. There’ll be a mini ‘ukulele film festival, music by the Maika’i Gents, party hula with Michelle Kiba, and, of course, food and wine! A fun time for all and a chance to donate your gently used slippahs to Soles4Souls. Don’t forget to bring your ‘ukuleles! And now for the small print. With all this talk of wine and wineries you might be thinking this is not a family event. Far from it. The venues are all family-friendly and our next generation of well-behaved ‘ukulele enthusiasts is more than welcome. The Yountville Inn is extending a $50 discount to people staying with them for the festival; you just need to mention the “‘ukulele festival” when making your reservation. This is a lovely, deluxe property in Yountville, which is about halfway between Napa and St. Helena. Because of the time of year (and the fact that it’s a weekend) a 2-night minimum stay is required. But, what a fabulous treat for yourself–breakfast, wine tasting packages, and more……. A treat of an entirely different sort would be to stay at Bothe State Park (right next to the Tucker Farm Center). Bring your motor home or tent and experience what the valley was like before the arrival of the grape. Prepare for warm sunny days and cool (bordering on cold) evenings under the redwoods, under the stars. That’s it for now. But please stay tuned and make your reservations early! In order to receive automatic festival updates by email, be sure to Subscribe. And, just incase you missed out on any of the festival gear from last year, be sure to check out the Festival Store, where your purchases provide fuel for the engine that drives the festival forward.